There is a strategic Palestinian Arab plan. The pulling on Al Aqsa can lead to an unraveling of the whole Zionist enterprise. We ignore it at our peril. In Jewish tradition, the Temple Mount, Har Habayit, is uniquely holy, special and significant. Not only the site of the site of the First and Second Temples, the Mount, Mount Moriah, is considered to be the site of where Abraham sacrificed Isaac, Jacob dreamed of the ladder ascending to heaven, and in some interpretations, the site of Gan Eden itself. And while our political leaders are eager to mute its significance, our adversaries have correctly perceived its importance. 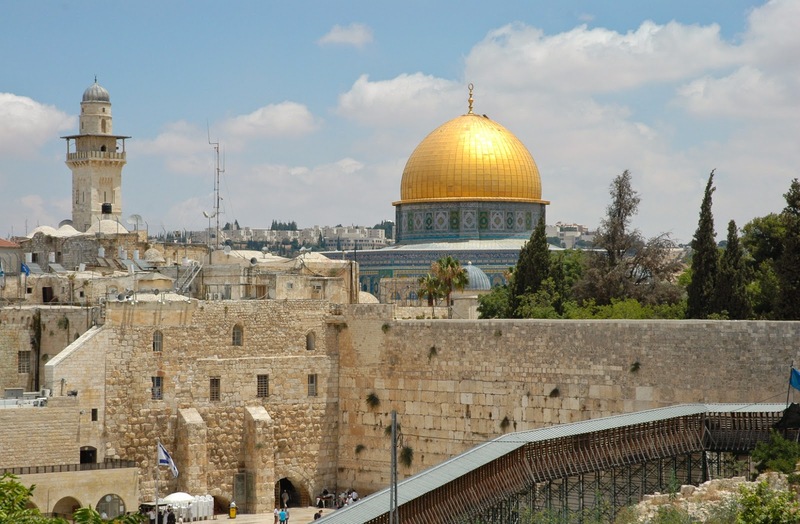 In true supersecessionist fashion, they have raised the Temple Mount as an existential issue in the form of mythical threats to the Al Aqsa mosque. Al Aqsa occupies a corner of the Mount, part of the Herodian extension of the plateau, not considered to be of any significant stature by Jews, and frankly, a place of zero interest to us. However, employing the classic meme of bogeyman-like threats to it, anti-Israel forces from within and from without Israel, have found in Al Aqsa, the all-encompassing grievance and the great rallying cry for attacking Israel and any Jew that happens to be in it. Throwing Jews off the Mount by screaming about what we are supposedly doing to them (which of course is what they clearly want to do to us) is part of the crucial battle for the control of Jerusalem, and by extension all of Israel. Our enemies rightfully appreciate that if we surrender on that which is most important to us, we will eventually surrender on everything else. This is no mere turf war disagreement, nor a dispute about a modus vivendus for shared sacred space. Rather, the Temple Mount is for our adversaries the symbol of religious sovereignty, and by extension political sovereignty. Never ones to use nuance or subtlety or even to be dissuaded by the facts, our adversaries have been admirably “on message:” Jews are trying to destroy Al Aqsa, Jews are trying to rid us of their connection to the Mount, Jews are trying to Judaize Jerusalem starting right here on the Temple Mount. The hope and the expectation is that the world will rally to their cause, and that their insistence, backed by horrific violence, will intimidate Israelis into placating them by ceding Jewish rights and the time immemorial Jewish connection to the Mount. But in this fight, we cannot cede the field, We cannot surrender. We must see the fight for what it has become, the distillation of all grievance, of all effort to defeat us. The one thing that we must concede is their basic assumption that the control of the Temple Mount is tantamount to the spiritual control of Jerusalem, and by extension all of Israel. The concept of the “status quo” has become a cruel absurdity, since the new “status quo” that Palestinians are seeking to convince the world is just and proper has Jews hounded off the Temple Mount. In their new status quo the entire Mount is Al Aqsa, and per force there is no room for Jews anywhere there in holy Muslim space. Having chased us off the Temple Mount, the drumbeats will inevitably start about the Kotel, the Western Wall, which of course supports their holy Al Aqsa. You can count on it. Like the proverbial loose thread on a cheap polyester suit, the pulling on Al Aqsa will ultimately lead to an unraveling of the whole Zionist enterprise. Make no mistake. This is the Palestinian strategic plan. The biggest mistake we can make is to ignore, to diminish it or deny it. What we need now is clear eyed leadership that understands that the Temple Mount has become the crucible in which the future of Jerusalem and Israel will be shaped. We must not shirk our history and we cannot endanger our future. We must rise to the challenge.